Go to Hustlerturf.com for all the many different options and configurations and attachments. 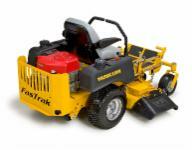 Hustler provides Excellent Durability, Ease of operation, Low maintenance costs, Top notch cut quality, and a machine to fit your property and budget. N E SMALL ENGINE provides you with PARTS and SERVICE support. We carry an extensive parts inventory to keep you running. Don't take our word for it ask our many customers. 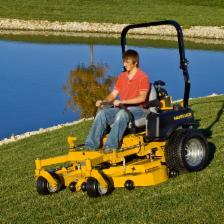 Ask a Hustler owner today, If they would buy another HUSTLER mower. 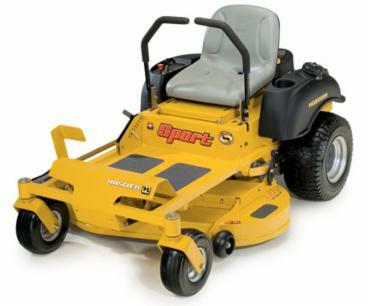 42" and 48" & 54"designed for the homeowner looking for a durable mower on a limited budget. 36 - 42 - 48 - 54 - 60" available for the discerning homeowner, or small lawn maintenance operator. you get More :Warranty , Durability, smoother operation, Hill stability, like no other. 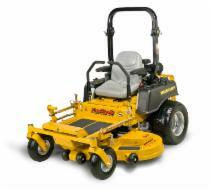 52" - 60 - 66 - 72" available for large acreage mowing, with a machine that will take it. Hustler is on the cutting edge with these mowers. 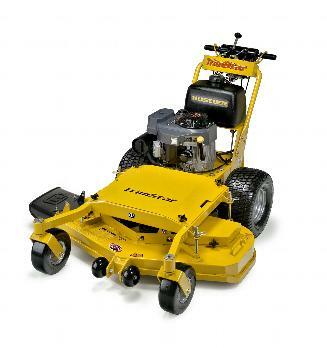 36 - 48 - 54" cutting widths electric start available on 54" One spot height adjust. Easiest to operate walk behind with H bar steering , as easier than riding a 4 wheeler.